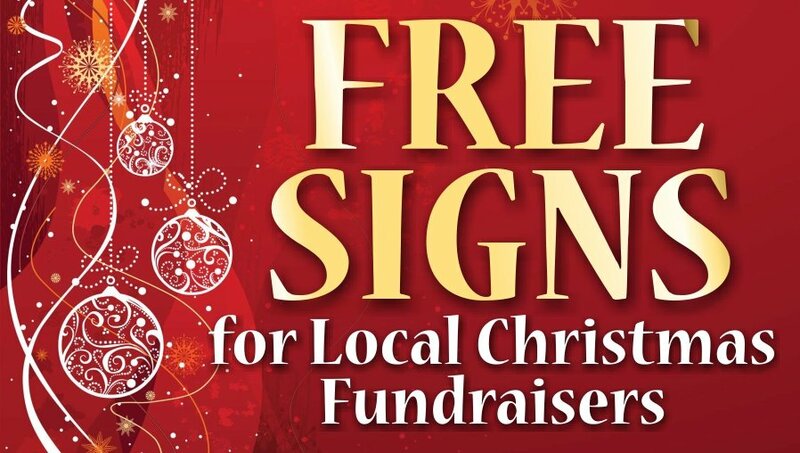 Throughout the year we save materials that can be re-used to make signs to help local charities and clubs with their Christmas fundraising efforts. We think it’s a great way of saying thanks to all of our customers for their support and loyalty, and also it’s a nice opportunity to give something back to our community. If there’s something we can offer to help a fundraiser that you are involved in, please call and we will be very happy to help. Looking forward to hearing from you! Sizes of signs depend on the materials available, but there is a great selection! The offer is intended for Christmas related fundraising in the broad Athlone area. The offer is intended for charities, clubs, local fundraising efforts etc., that do not have significant operating budgets of their own.